Lately, more and more Ford Ranger Wildtraks have been spotted on South Africa roads. The reason for that is simple: this new-generation bakkie is an irresistible combination of appearance, performance, and intelligence that is calculated to appeal to the modern, tech-savvy farmer. 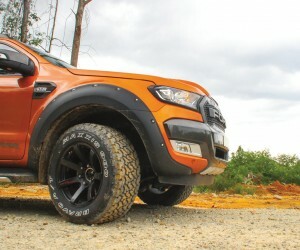 Gone are the days when a bakkie was just a humble work-horse – it has become a noble steed, a veritable thoroughbred with a unique combination of ruggedness and good looks. The Wildtrak is one of the most eye-catching vehicles on the road at the moment, thanks to its imposing size, impeccable lines, new front-end styling, and exclusive colours, including that very special Pride Orange. The leather-trimmed interior is nothing short of luxurious and extremely comfortable, while featuring some very up-to-date and useful technology. Ford’s Sync3 infotainment system with eight-inch touchscreen includes navigation, and you can sync your smartphone with the system. Safety comes first, and the Wildtrak truly impresses with some incredibly intelligent features. The radar-based safety system, which is unique to South Africa, includes adaptive cruise control and lane keep assist, warning you of lane departures and possible collisions while keeping a pre-defined following distance in traffic. If the vehicle is straying from its lane, vibration in the steering wheel gives you an alert; if you don’t respond, the system uses steering torque to guide the vehicle back into its lane. Further safety features include a tyre pressure monitoring system that alerts you when tyre pressure is too low, an electronic stability program with rollover mitigation and trailer sway control to help you keep control in adverse conditions, and a driver impairment monitor that uses the forward-facing camera and on-board sensors to detect if you are nodding off. Under the hood, Ford’s famous 3.2-litre five-cylinder Duratorq turbodiesel, with six-speed automatic gearbox, provides the muscle – but it’s an incredibly quiet and smooth driving experience, thanks to a fuel injection system that dampens the diesel racket and an updated turbocharger. Quite simply, the Wildtrak is great fun to drive. If you want to go offroad, the Wildtrak 4x4 will take you there without missing a beat, thanks to the robust electronically controlled transfer case, 800 mm water-wading capability and 230 mm ground clearance. A dial between the two front seats initiates the part-time four-wheel-drive system, while a dash button activates the rear differential lock. 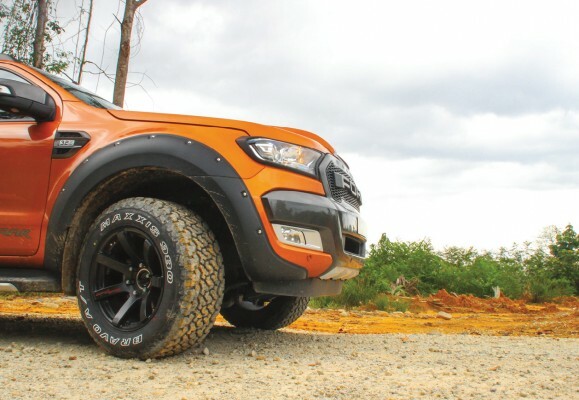 In short, if you’re looking for style, comfort, intelligence and performance at the truly competitive price of R624000, the Ford Ranger Wildtrak will take some beating.